Good morning ladies and gentlemen and welcome to Comcast's fourth quarter and full year 2018 earnings conference call. At this time, all participants are in a listen-only mode. Please note that this conference call is being recorded. I will now turn the call over to Senior Vice President, Investor Relations and Finance, Mr. Jason Armstrong. Please go ahead, Mr. Armstrong. Thank you, operator and welcome everyone joining me on this morning's call are Brian Roberts, Mike Cavanaugh, Steve Burke, Dave Watson, and Jeremy Darroch. Brian and Mike will make formal remarks and Steve, Dave, and Jeremy will also be available for Q&A. As always, let me now refer you to slide number two which contains our Safe Harbor disclaimer and remind you that this conference call may include forward-looking statements subject to certain risks and uncertainties. In addition, in this call, we will refer to certain non-GAAP financial measures. Please refer to our 8-K and trending schedules for the reconciliations of non-GAAP financial measures to GAAP. With that, let me turn the call over to Brian Roberts for his comments. Brian? Thank you, Jason and good morning, everyone. 2018 was a successful and pivotal year for Comcast by an outstanding fourth-quarter will recruit pro forma EBITDA by 11%. For the full year, we generated record free cash flow. We are now truly a global company with our acquisition of Sky, and as you'll hear, we had many other significant achievements throughout each of our businesses. This success is based on a few guiding principles. Be leaders in the markets in which we compete, continuously improve everything so we could deliver the best products and experiences and keep building deep, highly valuable recurring relationships with our customers. This is what allows us to have tremendous consistency and to think and compete for the long term. Throughout this very busy year, one of the things that stands out for me is that the team did not miss a beat enabling us to deliver exceptional operational and financial results for the fourth quarter in 2018. So, let's turn to a few of the highlights as well as some of the growth opportunities we see in the coming years. In cable, we made a very successful transition to a connectivity centric model, and that drove our fantastic performance in 2018. The strategy is clear, deliver the best products and experiences, while improving our focus on keeping our customer at the center of everything we do. In the fourth quarter, customer relationships increased by 258,000 and EBITDA growth of 7.3% was the best for a fourth-quarter in eight years. For the full year, we added 1 million net new customer relationships driven by our 13th consecutive year of over 1 million broadband net adds. Our connectivity businesses, residential broadband, and business services in total grew revenue nearly 10% in 2018. We made progress in transforming the customer experience and taking unnecessary complexity and activity out of the business. Greater than 75% of transactions are now being completed through digital touch points. In the past 12 months alone, we have reduced agent handled calls by 15 million and truck rolls by 1.5 million all while adding a million new customer relationships. Altogether, this resulted in cable EBITDA growth of 6 ½%, the best for a full year at seven years and net cash flow growth of 13%. Our focus on network differentiation and product innovation continued throughout the year. We rolled out gigabit-speed availability to nearly all of the 58 million homes and businesses in our footprint and are redefining the in-home broadband experience for our customers with the best speed, coverage, and control which we call xFi. 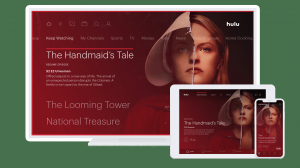 In video, we are leveraging our X1 platform to be the best aggregator of aggregators delivering the broadest selection of content with our integration of YouTube, Netflix, and most recently Amazon Prime Video in December, X1 is the best platform to consume live, on-demand and streaming content on TV and on XFINITY stream. XFINITY Mobile which has quickly become another important component of our bundled offerings for customers into 2018 with 1.2 million subscriber lines we're very pleased with this performance in mobile so far and the value it adds to the bundle and are on track to achieve our primary objectives including positive stand-alone economics. Customer satisfaction is increasing, and retention improved across all of our products in 2018. Notably including the best broadband retention on record. So, our cable team is leading in their big strategic shifts are really paying off. Looking ahead we hope to build on this positive momentum. We expect connectivity will again be the growth engine of our cable business in 2019 and beyond with sustainable benefits to our financial results as our mix shifts more toward these margin accretive businesses. We see lots of runway ahead, and this should help us deliver another year of healthy customer and net cash flow growth in 2019. NBCUniversal has had an incredible run with EBITDA growth at a double-digit compound annual rate since our acquisition, and we are well-positioned to succeed with years to come with scale, must-see content, and I believe the premier management team in the media industry. NBCUniversal and did a very good year on a strong note. Fourth quarter EBITDA increased 12% driven by over 20% growth at our TV businesses. For the full year, TV EBITDA increased by 15% with growth across all revenue streams reflecting successful execution of our strategy focused on big events and must-see entertainment, news, and sports content. NBC had a notable year finishing the 52 week broadcast season at number one in total viewers for the first time in 16 years and number one in adults 18 to 49 for the fifth consecutive year in prime. MSNBC was also a real standout reaching record viewership for the full year and its largest ever lead over CNN. Our theme parks and film businesses were meeting with all contributors to NBCUniversal's profitability as well, and Mike will take you to the details for the fourth quarter and full year. Now looking to 2019 and beyond as our 2018 results demonstrate there is robust demand for our content across multiple platforms. The popularity of our programming is what gives us a great opportunity to create our own streaming service as we announced last week, which we plan to launch in 2020. This service will be distinct and compelling offering current and prior seasons, library and some original content with a light advertising load offer free to pay-TV customers. It's a great value proposition for consumers and provides marketers with unique targetable digital advertising and high-quality premium programming. It will harness all of the things that make our company so unique. NBCUniversal's premium programming, the love franchises, and industry-leading advertising sales capabilities, and cable in Sky's broad distribution to 54 million direct customer relationships across the US and Europe. The top-notch IP video capabilities and infrastructure including the Now TV OTT platform. We believe that we can generate significant value with the service over time by enhancing our content monetization, strengthening the value of pay-TV, becoming a leader in targeted digital streaming advertising and expanding our reach through direct customer relationships. At the same time, our approach to monetizing our content will remain balanced. We will continue to sponsor its broad, varied distribution environment and see this platform is being a valuable addition to this highly effective strategy. In film, we have a terrific slate in 2019 which includes the third installment in DreamWorks How to Train Your Dragon franchise. The next chapter in Illuminations brilliant Secret Life of Pets and the return of the Fast and Furious franchise with Hobbs Shaw. Finally, we have some wonderful attractions opening at our theme parks in 2019 with Jurassic World in Hollywood and a pretty thrilling new Harry Potter coaster in Orlando. In addition, with occupancy above 90%, even as we more than doubled our on-site hotel rooms at the park over the last five years, we are looking forward to opening phase 1 of the 2800 room Endless Summer Resort in Orlando in 2019. We're confident in the long-term growth potential at our parks with an exciting roadmap as our partnership with Nintendo debuts at Universal Studios Japan in 2020, and we bring a brand-new large park to Beijing the next year. Turning to Sky, which we have viewed for years as a truly unique company that combines a direct to consumer business similar to Comcast cable with brands and content ownership economics like we have an NBCUniversal. Sky operates insignificantly underpenetrated markets and has terrific long-term growth ahead of it including the potential to expand into new markets. As our teams have come together, the brand leadership, impressive customer loyalty, premier content and innovation-driven culture that attracted us to Sky in the first place have become even more apparent. The team at Sky delivered a healthy fourth quarter; it's first as part of Comcast. Sky's achievements in 2018_some of the reasons we are so excited about this business. Sky grew its customer base in each of its territories with 735,000 total net additions in 2018 including a record second half of the year bringing its customer relationships to nearly 24 million. It continued to innovate and scale its best in class Sky Q platform and launched a new TV offering in Italy with Sky over digital terrestrial television. Highlighting Sky's proven cross-selling abilities, fiber penetration increased, and mobile customers continued to scale in the UK. Sky's successful original programming strategy drove strong viewing with sky originals representing nine out of the top 10 rated shows on its wholly owned and partnered entertainment channels in 2018. Sky enhanced its differentiated sports offering securing premier league soccer rights at a lower cost with Serie A in Italy with more exclusive games. And finally, the team is extending sky's leadership and customer service while continuing to improve operating efficiency with its digital-first initiatives. We are enthusiastic about Sky's organic growth prospects as well as the opportunities created by the combined company in 2019 and beyond. So, in summary, this was a really important year for our company underscored by an excellent fourth quarter. Our consistent track record which now includes 24 straight years of EBITDA growth and confidence in our outlook for continued strong and profitable growth is what enables us to announce that we are raising our dividend by 10% for 2019. We're really just getting started on this next chapter in our company's history, and we have a lot of excitement about the future over to you Mike. Thanks, Brian and good morning everyone. I'll begin on slides four and five with our fourth-quarter and full-year consolidated results. As a reminder, we completed our acquisition of Sky in the fourth quarter. As a result, our reported results include a partial quarter of Sky from October 9th while proforma results are as if the Sky transaction had occurred on January 1, 2017. Revenue increased 26.1% to $27.8 billion on a reported basis and 5.2% on a proforma basis for the fourth quarter and increased 11.1% to $94.5 billion on a reported basis and 6.4% on a proforma basis for the full year. Adjusted EBITDA increased 21.6% to $8.2 billion on a reported basis and 11.1% on a pro forma basis for the fourth quarter and increased 7.9% to $30.2 billion on a reported basis and 4.8% on a pro forma basis for the full year. In the fourth quarter, adjusted EBITDA increased 7.3% at cable, 12.3% at NBCUniversal and 8.9% at Sky on a pro forma basis or 12.4% on a constant currency basis. Adjusted earnings-per-share increased 36.2% to $0.64 for the quarter and 25.6% to $2.55 for the year. This growth reflects the benefit of a lower effective tax rate throughout 2018 to do tax reform as well as our strong operational performance. Finally, free cash flow was $2.1 billion in the quarter and $12.6 billion for the full year. 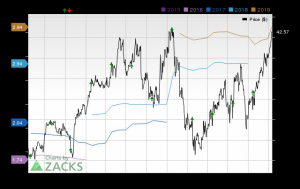 These earnings per share and free cash flow results include a partial quarter of Sky results in the fourth quarter. Now let's turn to cable communications on slide six. Starting with a few highlights from cable's results for the full year, revenue increased 3.9%, EBITDA increased 6.5%, and net cash flow increased 13.3%. Total customer relationships grew by 1 million or 3.4% year-over-year to 30.3 million. On a per-relationship basis, EBITDA grew 3.4%, and net cash flow grew an impressive 9.9%. As Brian mentioned, retention improved across all of our products including the best on record for broadband. For the fourth quarter, cable revenue increased by .2% to $14.1 billion, EBITDA increased 7.3% to $5.8 billion, and net cash flow increased 8.4% to $3.1 billion. Total customer relationships increase 3.4% year-over-year, including 258,000 net additions in the fourth quarter. On a per-relationship basis, EBITDA increased 3.8%, and net cash flow increased 4.8%. These strong operational and financial results for the fourth quarter and full year reflect our overall focus on driving profitable growth in the benefits as our model shifts more toward our high-margin conductivity businesses, residential high-speed Internet and business services. Now diving into the details of cable's fourth-quarter results. High-speed Internet revenue was the largest contributor to overall cable revenue growth increasing 10.1% to $4.4 billion. We added 323,000 net new residential broadband customers in the fourth quarter bringing full-year net additions to 1.2 million. This performance demonstrates our broadband offerings attractive positioning in the market which is the result of the investments we've made in product innovation and in the capacity of our network. We raise the bar for broadband by offering gigabit speeds, the best customer equipment for wall-to-wall Wi-Fi coverage in the home and innovative control features to help customers manage their networks and devices. We are delivering more value in our offering, and the utility of broadband continues to grow. Our customer's median monthly data usage was over 170 Gb per month for the second half of 2018, up over 30% year-over-year. We believe we are well-positioned to continue to grow as the size of the broadband market increases and we take greater share with our differentiated products and a highly capable network. Having broadband at the center of our offering and go to market strategy gives us the opportunity to deepen our relationship with the customer and drive additional value by attaching other complementary products. Video is one of these important supporting parts of the bundle. Our best in class X1 platform enables us to compete well for customers who want the most content and a premium experience, and it further underscores the value of our broadband by bringing together the best streaming content with linear TV. However, as we saw throughout 2018, the video market remains competitive including the impact of virtual MVPDs. We expect this dynamic to continue in 2019 and remain focused on driving video in the customer segments we can serve profitably. XFINITY Mobile also highlights another opportunity to add value to our core business by bundling with broadband. We ended the year with 1.2 million customer lines having added 227,000 in the quarter and 854,000 for the full year. Early results are supportive of our key objectives and wireless as we are seeing benefits to overall customer satisfaction and improved broadband retention when XFINITY Mobile is attached. XFINITY Mobile EBITDA losses, which are included in the corporate and other segments were $191 million for the fourth quarter and $743 million for the full year. Lastly on mobile, one housekeeping item which is that starting with our first quarter 2019 results, we will report XFINITY Mobile as part of the cable segment. Moving on to business services, revenue increased 9.5% to $1.8 billion in the fourth quarter driven by 5.7% increase in business customers to 2.3 million and a 3.5% increase in revenue per business customer. We are taking share in each of our customer segments, small, midsize, and enterprise by leading with our conductivity expertise. In enterprise, in particular, we are still in the early stages of penetrating a significant addressable market with great traction so far. As we continue to drive growth in enterprise, there can be some lumpiness in revenue due to the timing of bringing new customers online which was a factor in our fourth-quarter comparison. Overall, we ended the year at over $7 billion in business services revenue, and with at least a $40 billion market opportunity in our footprint, we see substantial runway I had for this margin accretive gross business. Collectively, our conductivity businesses generated over $24 billion of revenue and grew nearly 10% in 2018. As we begin 2019, we are optimistic that we will continue to grow at similarly strong levels thanks to our network and product differentiation. And finally, advertising was again a driver of cable revenue growth in the fourth quarter increasing 27.7% due to record political advertising spending. Excluding political, advertising increased 3% driven by growth in our advertising technology platforms. Moving now to cable expense and margin on slide seven, total cable expenses increased 3.8% in the fourth quarter driven by 4.5% growth in nonprogram expenses or 1% on a per-relationship basis. The increase in nonprogram expenses reflects costs associated with increased advertising sales activity due to political and costs related to our X1 syndication business. Partially offsetting this growth, was a 2.5% decrease in customer service expenses even as our customer base grew 3.4%. This reflects reduce call volumes and truck rolls as we continue to make progress in providing a better overall experience and eliminating unnecessary activity in transactions including through more digital service tools. Programming cost increased 2.9% in the fourth quarter. Following elevated growth in 2016 and 2017 due to the timing of renewals, we said rate of programming cost growth should be meaningfully lower for a period of time. We saw this in 2018 with 2.7% growth for the full year and expect a similar level in 2019. Cable EBITDA margins were 40.9% in the fourth quarter, up 80 basis points year-over-year and 40.7% for the full year, up 100 basis points. For 2019 we believe our margins on our currently reported basis could improve by up to 50 basis points compared to 2018 benefiting from our high-margin conductivity driven growth and ongoing customer service efforts. The same margin improvement of up to 50 basis points will also apply after we restate our cable financials to include XFINITY Mobile results in the first quarter 2019. Fourth-quarter cable capital expenditures increased by 7.6% to $2.3 billion driven by increased investment in scalable infrastructure as well as higher customer premise equipment investment due to typical seasonal spending patterns. For the full year, capital expenditures decreased 3% to $7.7 billion reflecting a decline in customer premise equipment spending partially offset by increased investment in scalable infrastructure and line extensions. Capital expenditure intensity was 14% for the full year and improvement of 100 basis points year-over-year. In 2019 we expect 50 basis points of improvement in capital expenditure intensity primarily reflecting continued decreases in video-centric CPE spending consisting with the broader shift in our business toward conductivity. Overall, I'm really pleased with our results in cable in 2018 and have confidence that we are well-positioned to deliver another year of healthy growth in 2019. Now moving on NBCUniversal's results on slide 8. NBCUniversal revenue increased 7.1% to $9.4 billion, and EBITDA increased 12.3% to $2.1 billion in the fourth quarter driven by growth in our TV businesses. Cable networks revenue grew by 8.9% to $2.9 billion, and EBITDA increased 4.3% to $1 billion in the fourth quarter reflecting growth and distribution and content licensing revenue. Distribution revenue increased 10.3% driven by the ongoing benefits of previous renewal agreements as well as another quarter of improved subscriber trends at our cable networks relative to the 1.5% to 2% declines we were experiencing earlier due to consumer adoption of virtual MVPDs. Content licensing revenue increased 28.4% driven by the delivery of content under existing licensing agreements and reflecting overall strong demand for our content. Advertising revenue was consistent with the prior year as growth from MSNBC, and overall higher rates were offset by ratings declines at our cable networks. Broadcast revenue increased 3.7% to $3.1 billion driven by growth in returns and advertising. Retrans increased about 25% to $440 million bringing the full year to $1.7 billion up over 20% compared to $1.4 billion in 2017. We expect returns of $1.9 billion in 2019, and we believe our successful content and big event strategy at NBC and Telemundo position as well for continued growth in retrance over time. Fourth-quarter advertising increased 2.1% as overall higher pricing, record political advertising and strong Sunday Night Football ratings more than offset the comparison to Thursday Night Football in last year's fourth quarter and ratings declines in other programming. Broadcast EBITDA increased by $250 million to $412 million reflecting higher revenue as well as lower programming and production expenses due to the comparison to Thursday Night Football rights cost in last year's fourth quarter. Lastly, in TV, we are excited about NBCUniversal's recent announcement of a new streaming service. 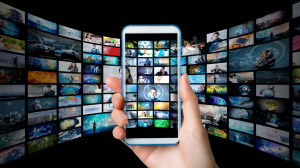 We believe our unique proposition offering premium programming and a light advertising load offered free to pay-TV customers will be well received by both consumers and marketers. As Brian outlined, we believe this approach will create significant value over time and leverage the strengths and resources of Comcast-CBS-Universal. We anticipate a manageable level of investment will be required to build out and scale the service over several years with a negligible impact to our financial result in 2019. We will be measured in our production of streaming originals aligning the levels of spend with the consumer and financial scale of the service over time. We have a balanced strategy that promotes a broad, varied distribution environment for content in our new streaming service will be a complementary part of this approach. Turning to film, revenue increased 14% to $2 billion driven by the theatrical success of the Grinch in the fourth quarter while EBITDA decreased 23.6% $179 million due to a tough comparison to our 2017 slate. We are optimistic about our film slate and outlook for growth in 2019 underscored by an increased number of animated titles and the return of the Fast and Furious franchise. Theme parks revenue increased 3 ½% to $1.5 billion and EBITDA increased by .7% to $666 million in the fourth quarter as record results from the annual Halloween Horror Nights events at our domestic parks were offset by continued weakness at Universal Studios Japan as the park recovers from the lingering effects of the natural disasters that occurred in the third quarter. We remain bullish on the outlook for parks over the next several years as we are investing in a robust pipeline that includes Harry Potter and Jurassic World attractions in our domestic parks in 2019, a new resort hotel opening in Orlando this summer. Nintendo coming to our parks starting with Japan in 2020, and a new park opening in Beijing. Turning to Sky on slide nine, we are pleased with Sky's execution results in the fourth quarter on a reported basis; Sky is included in our financials as of October 9, 2018. As I go through Sky's performance in more detail, I'll refer to our pro forma results as if the transaction had occurred January 21, 2017, and growth rates on a constant currency basis consistent with what's reflected in the earnings release and what will be our go forward approach for discussing Sky's results. For the fourth quarter, Sky's revenue increased 5.6% to $5 billion reflecting healthy growth across direct to consumer content and advertising. Direct to consumer revenue increased 4% driven by improved product penetration for pay-TV, growth in Sky Mobile and Sky Fiber customers as well as rate adjustments in the UK. Sky's total customer relationships grew 3.2% year-over-year to 23.6 million including net additions of 164,000 in the fourth quarter, reflecting customer growth in each of its markets. Sky added 735,000 net new customer relationships for the full year with growth in all markets led by Italy driven by the successful launch of its new DTT TV product and benefiting from an enhanced sports offering there with new Serie A comment champions league, and Europa league deals. Sky Mobile customer lines reach 785,000 at year-end, and fiber penetration has increased to 47% of Sky's broadband customer base from 34% a year ago. Sky's content revenue increased 35.7% in the fourth quarter reflecting the wholesaling of sports programming including Sky's newly acquired exclusive sports rights in Italy and Germany, increase penetration of Sky's premium sports and movie channels on third-party pay-TV networks in the UK and monetization of its successful slate of original programming. Sky maintained its position as the number one pay-TV provider in core markets. 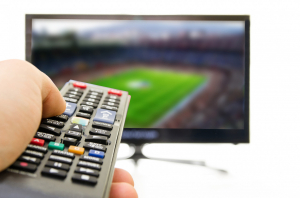 Sports viewing was up 10% in the fourth quarter with growth in each territory and strong performances from key sports rights like Formula One in the UK and Italy and UEFA Champions League's soccer in Italy and Germany. Advertising revenue increased 2.9% reflecting increase sports inventory in Italy and Germany and advanced advertising growth in the UK. Sky's fourth quarter EBITDA increased 12.4% to $765 million driven by healthy revenue growth partially offset by a 4.5% increase in operating expenses due to growth in programming costs driven by new contracts for Serie A and UEFA Champions League soccer rights in Italy and Germany. Sky's total capital was $1.6 billion for the full year primarily reflecting its ongoing deployment of Sky Q which was rolled out to 3.4 million homes throughout Sky's footprint over the past 12 months to end the year at 5.5 million homes. For the full year, pro forma revenue increased 4.5% to $19.8 billion, and EBITDA decreased 5.3% to $2.9 billion. This reflects contract termination costs and costs related to a settlement that impacted Sky's second and third quarter 2018 results totaling $231 million for the year. Excluding these costs, Sky's EBITDA would have increased about 2% for the full year, reflecting growth in direct to consumer content and advertising revenue partially offset by increased programming expenses and customer acquisition costs associated with sky's new product launch in Italy. Looking ahead to 2019, we expect Sky to deliver healthy full-year EBITDA growth by executing on its strategy of growing its TV penetration and attaching additional products including exciting new opportunities like the launch of broadband in Italy as well as monetizing its advancements in original content. Sky's EBITDA growth in 2019 will be back half weighted primarily reflecting the timing sports rights costs which will increase in the first half due to increased cost associated with its new Serie A and Champions League contracts which commenced in August 2018. In the second half, Sky will benefit from lapping these contracts as well as from the new lower cost Premier League contract which begins in August 2019. Additionally, the teams across cable, NBCUniversal and Sky are highly engaged in working together to leverage our capabilities throughout the company and further strengthen each other's growth opportunities giving his continued confidence in our previously announced synergy expectations and our ability to make good progress through the year toward a healthy exit rate for 2019. Wrapping up on slide 10 with return of capital, we generated $12.6 billion of free cash flow in 2018 and returned 8.4 billion of that to shareholders comprised of share repurchases and $3.4 billion in dividends. We are pleased to announce a 10% increase in our dividend, our 11th consecutive annual increase reflecting our confidence and growth for going forward. We did the year with pro forma net leverage of about 3.3 times. As we said in October, we are pausing our share repurchase program in 2019 as part of our commitment to returning to leverage levels consistent with our current ratings. Overall, I'm pleased with our results and successful execution in 2018. We have a lot to be excited about across the business as we start 2019 and with that alternate over to Jason for Q&A. Okay, thanks, Mike. Regina let's open up the call for Q&A, please. Okay, we will now begin the question-and-answer session. If you have a question, please press *1 on your touchtone phone. If you wish to be removed from the queue, please press #key. If you are using a speakerphone, you may need to pick up the handset first before pressing the numbers. Once again, if there are any questions press *1 on your touchtone phone. Our first question comes from the line of Jessica Reif Ehrlich with Bank of America Merrill Lynch. Please go ahead. Thank you, I have two questions. First, on direct to consumer, the video business has transitioned faster than I think many have expected and your DTC service seems like an ecosystem friendly way to kind of address that. Can you talk about what the service looks like in 2020 at launch and beyond, like where do you see it going? Will you bring in -- you know what content and/or marketing partners we bring in? And can you talk a little bit about the financial impact in 2020 because it seems fairly low cost? And on the second question on Sky, this is the first time Sky is included in your call and Brian and Mike, you both talked about underlying opportunities at Sky, is it what's more than increasing penetration in existing and new markets and what does NBCU, and Comcast cable bring to Sky? Like what can you do together that you couldn't do separately? Okay, so I'll answer the first question on direct to consumer. First of all, we're really excited about our approach, we spent a lot of time on it, and we're excited to get going and stand up a management team and get going on entering the business. I think our excitement comes from the fact that the way that we're entering the business really addresses the real objective we have which is as viewership goes online, how do we monetize that viewership better? You know one of the good things about what's going on right now in the television business is people are watching professionally produced content at higher levels than ever we're just not monetizing as we should and so what we've come up with is we're taking some of the most popular shows on television that we produce and we're going to offer them for free to 80% of the people in the United States who are multichannel customers for free to Sky customers in Europe and also to people who are not part of the ecosystem at a fee that would be comparable other people in the SVOD business. The service will have a very light add load of targetable ads, and we know there's a huge demand for digital advertising, interactive digital advertising. In fact, we're constantly trying to find more at inventory because advertisers want to be in very, very good professionally produced content. So, our idea to enter the business is to leverage Sky's technology; it's called Now TV in Europe and also parts of what we've been doing at NBC and Comcast cable. We think this approach has a much better chance to get scale quickly, there's nothing better than free for consumers, and we have enough products that consumers are currently viewing on other platforms online for free and charge that we think putting it all together in one place with very, very good technology and then leveraging our relationship with Comcast cable and Sky. There are a lot of approaches to get into the market, and we think this one is attractive to consumers. We also think financially it's more attractive because you get scale more quickly and we think it's highly likely that'll reduce the amount of investment we need to make coming into the business and also accelerate our ability to get to breakeven. So, that's what we're doing; we plan to launch in the first half of 2020, and we're spending a lot of time right now developing the technology, getting the management team in place so that we can get going soon enough. I think that's a pretty complete answer and if there's other questions on that we can come back to it, but I think we're uniquely positioned to do all the things Steve just described. I think as we look at Sky, part of the answer, Jessica, right off the bat is what Steve just described. The amount of media companies and potential partners that have reached out to me and to us and to Jeremy and his team since we announce Sky is surprising and overwhelmingly positive in my opinion. Sky's position is just quite unique. So, today we focused more on sort of operations which we did on the last earnings call. Jeremy, you may want to talk a little bit about the specifics of some of the integration work we're doing in the early days, but at the highest level it gives the company a reach with a very healthy business that is quite enviable and desired, and that's changed the dialogue we're having with our partners and within our own company. In the first evidence of that is the global OTT that Steve just described. Jeremy, do you have anything you want to add on that? Yeah, I mean look I strongly think that Sky as a business is going to be able to grow faster and further as part of the broader Comcast organization. I mean bear in mind there still 78 million households just in the markets we're in, don't take pay-TV, we're in fundamentally underpenetrated markets. I think by combining what we're all good at means, we're gonna be better for customers. I think will be able to innovate faster, will be able to develop better content, there's obvious areas like procurement and best practice where we can share learnings, insights or roadmaps and I think all of those things over time will come through both for customers importantly, but also for shareholders. And you can just start to see the early wins emerging. So, to give you two or three examples we're going to be deploying xFi into Italy for broadband launch that's particularly important because of the number of MDUs or quite old housing stocks have Wi-Fi coverage in the home is a real-world customer opportunity for us to improve. We really like the Comcast voice platform, and we're going to be incorporating that for Sky Q and will consolidate that and use the technology there. And as Steve mentioned, we're already sharing our expertise along the infrastructure we've built for the Now TV service here into the NBCU's OTT service launch. So, these are early days, we're only 15 weeks in, but encouraging I think we're starting to see some really important tangible evidence of working together as part of the broader group. Thank you, Jessica. Next question. Your next question comes from Ben Swinburne with Morgan Stanley, please go ahead. Thank you, good morning. Sticking with the NBC announcement, Steve, when you think about particular that business outside the United States where, as Jeremy just laid out, there's a lot of non-pay-TV households. What led you to the decision to sort of bundle this or link this with the broader NBC bouquet of channels in terms of positioning for consumers? I know it's gonna be available I think for a subscription outside of the bundle, but it seems like it's positioned primarily for bundled customers, and outside the US the definition of a bundle get sort of murky and Sky's been a leader in sort of offering those more skinny tailored bundles. So, how do you think about outside the US and then on the licensing side, it sounds like we shouldn't expect a big impact to financials I think when I add licensing revenues at NBC it's north of 6 billion across all your businesses and that's been a huge growth driver over the years. How do you think about pulling some of your big titles like The Office back on platform over time and why did you sorta land where you landed on that approach? So, in the United States, 80% of the addressable households are multichannel subscribers. That's obviously not the case in many places around the world. But between the United States and Sky's footprint in the UK, we think we should start and try to gain as much scale as possible with an ad-supported free to consumer service. There will be countries where we launch SVOD only, countries that don't have the kind of advertising ecosystem that we have the United States or imports of Europe. There will be places where we have different strategies and obviously the rights we have, the shows we have will vary by country. But if you look at Comcast and Sky alone, Comcast cable and Sky alone, you're well over 50 million customers and so the ability at launch to have those 50 million customers get all this great programming for free we think not only gets us to scale but is also good for Comcast cable and Sky. You know you're gonna be offering a lot of good things to people who are subscribing to those services, and we'll have those discussions with Charter and DirecTV and everybody around the world that's a multi-channel supplier. In terms of content and taking things that are that are currently licensed elsewhere and moving them to the platform, I think it's good to be very positive for us financially because in effect we're gonna breed a brand-new buyer. So, we have long sold to everyone. We've sold to SVOD, we've sold to cable channels that we don't own and even broadcast channels that we don't own. Our feeling is if you're the television business you should work with the best people, have the best shows and sell them wherever it makes the most sense. And will have the same philosophy ourselves. We do feel we under monetize significantly on the Internet and we under monetize on three platforms, and we also under monetize on SVOD platforms. So, as more and more content becomes available, I think a lot is gonna be on our platform, but we will continue to sell his on other platforms depending on the show, depending on the prices that we could command for those products. And so, I think it's fair to assume that when we launch, we'll have a lot of content. We have a significant amount of content at launch that will only increase over time but will go show by show, instance by instance and figure out what makes sense at the time those rights come back to us. Your next question comes from the line of John C. Hodulik with UBS, please go ahead. Great, thanks. I have a question on cable for Dave, there's a lot of focus on the broadband business, but the video business is holding up better than we expected both from a subscriber and revenue standpoint. Maybe could you just comment a little bit about what you're seeing from a competitive standpoint may be in terms of cord-cutting trends as well and given the sort of higher than typical price increases, we saw late in the year and early this year, can the revenue improvement that we've seen in that line continuing into '19 versus what we saw in '18? Thanks. Thanks, John. Well, video remains very competitive area, and I really don't think it's gonna change anytime soon, and our game plan is gonna remain the same that we are going after and will attract the most profitable video customer relationships that we can. And we're gonna continue to manage the shift as Brian and Mike talked about and focusing very much on the conductivity business. But in improving the conductivity business and competing, video still remains an important part of packaging. So, I think the competitive environment remains challenging, will watch it closely and what happens, and we always make adjustments and if there are opportunities based on what the competitive landscape is then our packaging will be there to benefit from it. But our main focus is continuing to take X1, leverage that with broadband and we have other opportunities in mobile to be able to package things, so we're really not changing our approach and its improved overall the financial performance, you know you look at the overall customer relationships, 1 million customer relationships that we've added obviously fueled and helped by broadband, but when you couple great video with great broadband then I think that it helps us financially and will see what happens in terms of video share. But we are so far pleased with that this quarter, and I can't comment too much further into next year. Let me just add that kudos to the X1 team, I think they launched Amazon really flawlessly at year-end, Amazon Prime Video following up on Netflix and YouTube, we've transformed that product every year and at the same time we have a discipline under Dave's team to look for profitable video as we've made this transition. So, is this alchemy of leading with broadband now, we have way more broadband customers than we do video customers, that's a huge shift in the company, and we've managed that shift I think to intelligently still invest in our video business but not chase every single subscriber all the time, and I think that the balance is why you see great cash flow growth, RGU growth, customer relationship growth, lowest churn, more digital interactions, less cost and free cash flow, therefore, growing at its best clip in a number of years. So, I think it's a real balanced job and led by still our passion around X1 and video. Your next question comes from the line of Philip Cusick with J.P. Morgan, please go ahead. Hi guys, thanks. Can you expand on cable costs and margins, it looks like you did a similar price increase the last year and you said that programming costs should again be muted? How do you think we should, how should we think about trends in non-programming effects per customer? Are you focused on bringing those bringing those number down further like calls and truck rolls? Are those margins expansion more a function of mixed shifting to broadband in business and if all that's right, is anything else going on that would mean that margin growth of 50 basis points is the high-end versus the 80 seen in 2018? Thanks. So, Phil its Mike, I'll start, and Dave can pile on, but I think it's all in the 50 basis points of margin improvement. It's some of all of the above, but I think as I've said repeatedly, Dave and team are doing the same things on an ongoing basis in terms of staying focused on non-programing expenses which is the customer experience journey which has been of great value to our customers and so a virtuous cycle that continues to continue to make it a better more digitized experience which brings out costs in the businesses, gets reinvested in other parts of the experience. But all that's gonna continue I think confidence that nonprogramming expenses will be managed well going forward and it's embedded in that 50 basis points of margin improvement. We said kind of another low year of programming expense growth as we predicted true three years back that that would be the trend. And so, again, it's all in there, and there is a mix shift going on as you point out and the more, we see a shift to conductivity which we have in the revenue mix, that's a long-term positive trend for the margins in the cable business as well. And hopefully we beat our expectations like we did last year, but our expectations are 50 basis points of improvement. In addition to the conductivity focus that we have which has helped margined, it helps us overall in terms of growth, you know emphasizing what Brian said just the focus on packaging and going after the profitable customer relationships that we are broadband, and video and we remain very optimistic about taking transactions out of the business. We spent a lot of time thinking about the digital experience for customers and is just the best way to take out unnecessary telephone calls, truck rolls, by just letting customers handle their solutions independently. So, I think Mike gave the guidance in terms of the expectations in margin, but extremely focused on nonprogramming expense. Mike, if I can follow up, now that Dave owns the wireless side, can we assume that those losses have probably peaked? We are at a level where we're really pleased with what we see happening in the mobility business and hence the move into the cable business. I think we've said for a while now that we're running out a level of ads that the losses are going to be commensurate with what the ad trajectory looks like from here. So, I won't let myself get pinned down on that one, but that is, the two will go hand in glove with each other, and we like the pace of growth that we've had in the business over the course of 2018. I think hopefully we get something similar in 2019. Thank you, Phil, next question, please. Hi, I'm wondering about programming. So, Dish dropped Univision earlier this year, late middle of last year and really hasn't seen any meaningful negative impact. We've got the RSN's from Fox which after Fox got out of buying them, looks like they're about to be orphaned. Just curious how you think about rightsizing content within the bundle to provide cheaper packages? We've seen a lot of VMVPs with much lower cost bundles, and as you've kinda added more of these third-party apps, you were just talking about Netflix, Amazon, YouTube being on the set-top box, just thinking about is there the potential to really transform programming costs or bundled dynamics over the next couple of years as deals come up? Thanks, Rich. So, a couple of things and I think you raise a very good point. You know our focus, we've been very disciplined in our approach to programming and how we value content and the use of data to understand this. So, what goes into packaging, so that has been something that we been doing for several years now, that's not brand-new, but we're very focused on understanding the content value. The point you make in X1 is game-changing in that as we look at and we aggregate all the different apps and all the content that's available and the ability to connect all these assets through the great voice recognition capability, delivered 9 billion voice commands last year. So X1 just gives us strategic flexibility with programming options and so we look at it very broadly that way and we provide, I think, the best of live, on demand in terms of DVR and now with all this new content that comes on I think it just gives us the strategic flexibility, so, I think it's a very good point, and we look at that way. Thank you, Rich. Let's go to the next question, please. The next question will come from the line of Craig Moffett with Moffett make Edson, go ahead. Hi, good morning, Brian a strategic question for you on the wireless business. Now that you've had your wireless NVNO operating for about a year now and seem to have settled into a sort of solid growth pattern, what if you learned and how do you think about the relationship with Verizon going forward and sort of where would you like that relationship to go? And then as a related issue, how does that inform your thinking about the 600 MHz spectrum that you purchased in the last auction? Well, I don't think we have any new revelations on that last part of the question on the 600 MHz, but I think we are very pleased with the relationship with Verizon, you know with big companies there's always gonna be some issue somewhere between us at one moment in time or another but if you step back and say we've become a meaningful contributor to the wireless net adds in our markets we're constantly looking to innovate the product and make sure we have the latest offerings available. Sometimes we're successful in that, and sometimes we're not perfect, and I think we've hit a good stride as Mike and Dave were just talking about. So, I think the strategy to become a meaningful part of some other folks' networks rather than go out and build our own; I'm very comfortable with that broad category of question. There's plenty in the detail that's always being worked on. Dave, you're closer to it. I just want to add one other point than before that is what we learned? We learned that wireless can really achieve what we thought which is to reduce churn for the customers who take all our products if you go back to the uber view that we're now looking for profitable relationships and make those relationships deeper, more digital, better experience and better value. Wireless checks a lot of those boxes particularly of value. The way we're structured, simple offer, there's only two options, customers get it. Most of the people take by the gig, and that is how our relationship with Verizon works so it sets up economically to be simpatico and I think run a trajectory that we believe we can get to as we said stand-alone economics that support the business and were on our way. Yeah, I would add that we participate as Brian said, in the mobile business and pleased with the progress that we're making, we also participate in wireless, you know we generate a lot of data traffic over Wi-Fi in the home. Over 80% of the data traffic on smartphones is delivered through Wi-Fi. So, I think we're beneficial to each other's networks in that way. We're pleased and that the reason, one of the main reasons, as Brian mentioned, we've looked at broadband retention, it's early days, but it's working and the contribution of that when the mobile consideration as people go to retail and look at other sales channels that we have and they're asking about mobile then they consider other lines of business. So, all of these things are encouraging and were pleased with our progress. Our next question comes from the line of Doug Mitchelson with Credit Suisse, please go ahead. Thank you so much, good morning. One for Steve, one for Dave. Steve, it seems like the media trends, advertising, and pay-TV subs are little bit better than investors might've expected and you know last quarter you mentioned that virtual MVPDs have plateaued and suggesting cord cutting kicked in. Commentary this quarter pay-TV said entrance are improving suggest the opposite. I just wanted to get my bearings on what you saw for video subscribers, for instance, 2018 on your fully distributed channels since you have the broadest distribution of any media company and what you expect in 2019. And I'll just throw the question for Dave in there as well, just any update on trends for high-speed Internet subscriber growth in 2019 and the pricing environment as well. I do note in 2018 a lot of the high-speed Internet customers came from Single Play which was different from 2017 and prior and any thoughts as to whether that boosted growth in 2018 or whether you feel that was a pretty normal steady state type growth rate would be helpful, thanks. So, I think that we've always felt that the television ecosystem was healthier then maybe some people thought. We really had an extraordinary television year this year; we grew EBITDA by 15% which was way in excess of what we thought we would grow EBITDA. And there were a whole bunch of factors in there. In terms of subscribers, we had a better year in terms of subscribers than we had budgeted and were entering 2019 better than we had forecast. It's very hard to predict the virtual MVPDs. If you look quarterly, the virtual MVPD growth, somebody who might be the fastest growing in the first quarter, might be the slowest in the second quarter as they change strategies and people figure out the market. But virtual MVPD growth was faster than we thought in 2018. At some point we do believe is going to slow down but we certainly did not see that in 2018. 2018 and the early part of 2019 are also very strong years for advertising. We had the strongest upfront we've ever had. The network primetime are out sales were up double digits. The scatter market is extremely strong right now. So, the television business, you know we obviously have pressure on ratings as people migrate to digital and that's one of the reasons why we're launching the direct to consumer product, but it's a very, very healthy business and we think it's gonna be healthy for years to come. Hey Doug, Dave. So, thinking about broadband you know we feel about broadband in '19 as we have in '18, that it's our growth engine and there, as Brian mentioned, there is a consistency that we have had in broadband, you know the 13th year in a row of consecutively delivering over 1 million net additions. And so, behind that going into '19, we feel the market continues to grow. You look at things like homes, employment, you look at macro conditions. But just as important as anything, you look at the overall market print notation of 80%, there's room for growth there. You look at our penetration, you know 47%, there's absolutely room for growth there. So, in our view is that customers' expectations continue to go up in terms of how they are interacting with broadband, how they're leveraging it. So, our focus, as Brian has said, is to deliver the very best broadband product in the marketplace and xFi is that brand, the best of speed, coverage, and control. And so in '19 we're gonna continue to do that. And along with that your point on single product and packaging, we've made some adjustments along the way. I think that our game plan is consistent, will be consistent. We do offer great options for both, and if somebody wants to start off with high-speed only, that's great, but we also have wonderful packaging options that will talk to them about. So, as important as anything is you look at the balance in share growth and rate. So, you look at that I feel confident as well. In '18 we, along with great share, we grew the resi ARPU by more than 4% year-over-year for '18 and if you look at then combining the overall conductivity business, Brian and Mike has mentioned it, you look at business services, you know a big part of that is broadband and our resi broadband it's growing nearly 10%, 24 billion. So, we like our momentum; we like our game plan, I think it's very consistent and we're just gonna focus on execution. Great, thank you, Doug. Regina, let's take one more question, please. Your final question will come from the line of Marci Ryvicker of Wolfe Research. Please go ahead. Thank you I have one for Steve and then one for Mike. Steve, as you launch the OTT business, I know you're not gonna have a tremendous amount of incremental investment spend, but as you do, where is that going to flow through the financials? Is that gonna be in the separate segments, is that gonna be in the studios? I guess I'm just trying to figure out what we're looking for. And then second for Mike, you talked about healthy EBITDA growth for Sky for 2019, when you say healthy, do you mean the same 2% adjusted for '18 or are you talking more mid-single digits? I'm just trying to understand what you're messaging, thanks. So, we currently have several very profitable and successful television studios, cable one and a broadcast one and an international one and those studios will continue to produce for our existing channels and increasingly over time produce for direct to consumer and we will figure out the right kind of transfer pricing and margin for those services so everybody's incented to produce and continue to produce for all different outlets. And it's on my get for Sky, healthy means you know really growth in customers, growth across all markets and growth in financial results which is higher than last year is what I would say healthy is, mid-single digits is a fair level to think about. And I did point out that'll be more back and weighted for the reasons I mentioned earlier just sports rights coming or reset for Italy in August of last year so will have to in the second half of the year will lap that and we'll see the improved rates for premier league and UK business kicking in the second half. So, will achieve that healthy growth over the course of the year with back half lighter and back in second half heavier. So let me just end the call by saying really how pleased we were with 2018 and were off to a great start in 2019. I think just that last answer that might gave, we look at Sky is really unique, it's different than cable and is taking all of us time to understand those differences and the same thing, it's got a content company, and it covers the entire footprint where it opposites product. So, as it renegotiates, it's probably got different characteristics than either of our two businesses, but I think you're gonna like what you see and is going to add to our capabilities worldwide. In those capabilities really do come together I think in the OTT announcement just to pick that as an example because not only will it draw out the best of our content creation capabilities, whether that's in film or television, whether that's original or recurring series; it needs broadband to get the great capabilities of that streaming services, and that's the core of where the cable companies focused as we discussed this morning and that broadband had a fantastic 2018. And xFi has a roadmap of innovation unto itself in 2019 and beyond which is as exciting as what we've done previously on great speed and now are looking at other ways. In all this takes advantage of X1and Q which are the best capabilities in the world and what we do we can always do better. We had 500 engineers meeting yesterday in our new technology center, and we just got a real, I think, credibility in the technology base now to keep innovating. It all comes back to what we give our customers, and we see how well Sky's performance has been in customer experience, and NPS made great progress on the cable side taking truck rolls out and calls us we've heard. NPS performance improvement. So all in all, that's was giving us the confidence to raise the dividend and to start 2019 off to a great start, so, thank you to the team. Thank you, everyone, for joining us today. Regina, will in the call there. There will be a replay available of today's call starting at 12:00 pm ET. It will run through Wednesday, January 30 at midnight Eastern time. The dial-in number is 855-859-20566, and the conference ID number is 6837336. A recording of the conference call will also be available on the company's website beginning at 12:30 pm Eastern time today. This concludes today's teleconference, thank you for joining, you may all disconnect. Motley Fool Transcription has no position in any of the stocks mentioned. The Motley Fool recommends Comcast. The Motley Fool has a disclosure policy.